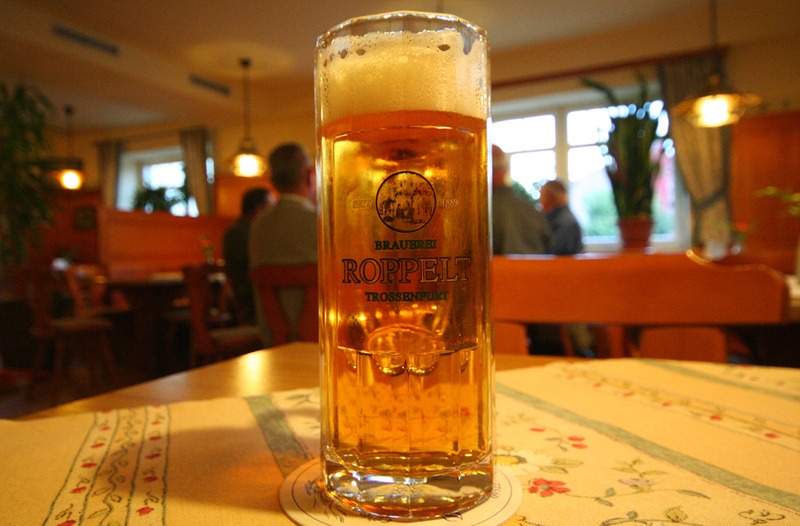 Because I so dearly love Braurei Roppelt Stiebarlimbach, Roppelt-Bräu Trossenfurt gets called the other Roppelt. Further away from civilization, up the mountains 20 km west of Bamberg, sits this cozy little country town with a brewery sitting on the main city intersection. 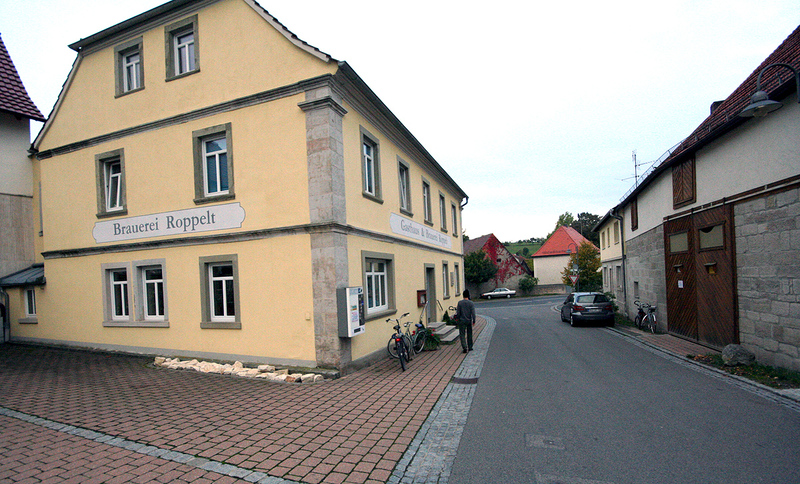 Family Roppelt are proud makers of a fine and clean helles lagerbier, worthy of an afternoon session with the old Franconian village grumps. It’s no small distance to travel here by bike from Bamberg, and the journey is made all the better by there being a product of excellent quality awaiting you and your bicycle. The Helles Lagerbier is golden, moderately malty, lightly hoppy, minerally and strikingly clean. Full, savory Bavarian pale malt with buoyant natural carbonation. A familiar scene in Bavaria as the old men of the village sit playing cards and drinking mugs of beer. It’s not uncommon to be the youngest in the room in the your 30’s. Beer is an old man’s game in Germany. 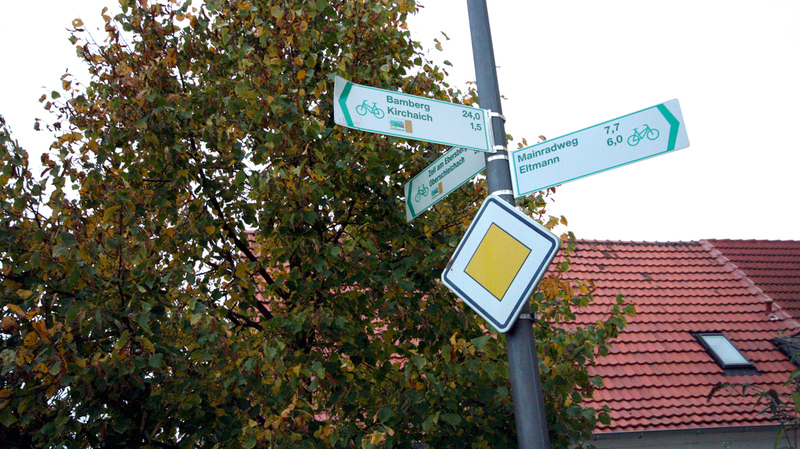 You’re a bit of a haul from Bamberg now, but it’s all downhill back to the city. The most direct path back is actually kind of dangerous, sharing a narrow road with cars without much of a shoulder, so best to make the ride during the day and not be caught out at night.